Sky's Off Road is now producing a heavy duty 1.5 inch lift Chevy S-10 rear leaf spring shackle kit. Shackles are laser cut and cnc formed 3/8ths steel plate, eye's of the bolt holes 9/16ths, eye to eye on the shackles is 7 inch's, and id is 3.065. 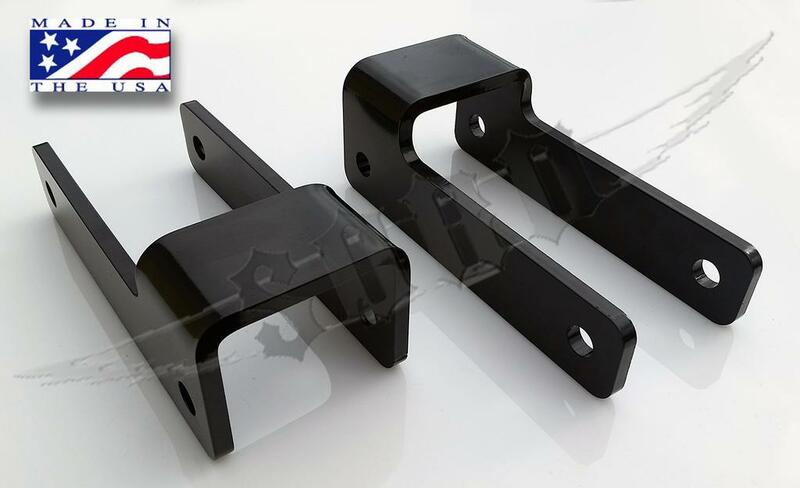 Designed for Domestic S-10 leaf springs, may be used in other applications, see specs above. Please check your vehicle to insure proper fit. Fully Made in the USA! Click the button below to add the Chevy S-10 Rear Lift Shackles to your wish list.